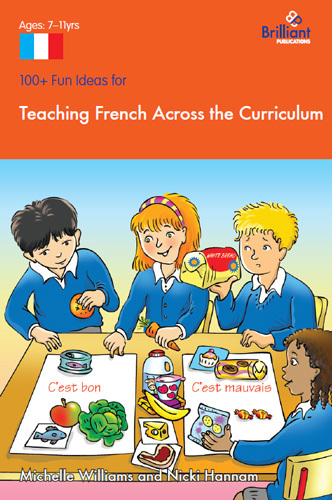 Bring Primary French to life and make it meaningful by linking it to other subjects using a cross-curricular, Content Language Integrated Learning (CLIL) approach. The practical, easy-to-use ideas in this book will make it easy to integrate language learning across the curriculum. By incorporating French into other subjects, your language-learning will complement and enhance learning in other subjects, rather than compete with them for crucial teaching and learning time. Learning that "six fois sept est égal 42" is much more exciting for your class than just practising times tables! With the help of this book, soon your pupils will be able to tell you "Oui, c'est exact" if their science predictions were correct or enjoy being able to "envoyer un document" (send a document) in ICT! 100+ Fun Ideas... has been developed for use with children at primary school who are learning French. It has been aimed at teachers who work with children in Key Stage 2 (7 - 11 years). 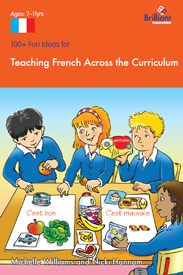 An excellent resource for all French primary teachers.